Argggh! Stripping wallpaper has a reputation for being one of a DIYer’s worst nightmares! But it needn’t be all that hard, if you understand wallpaper and know the proper steps. Here are some tips that should get you going in the right direction. 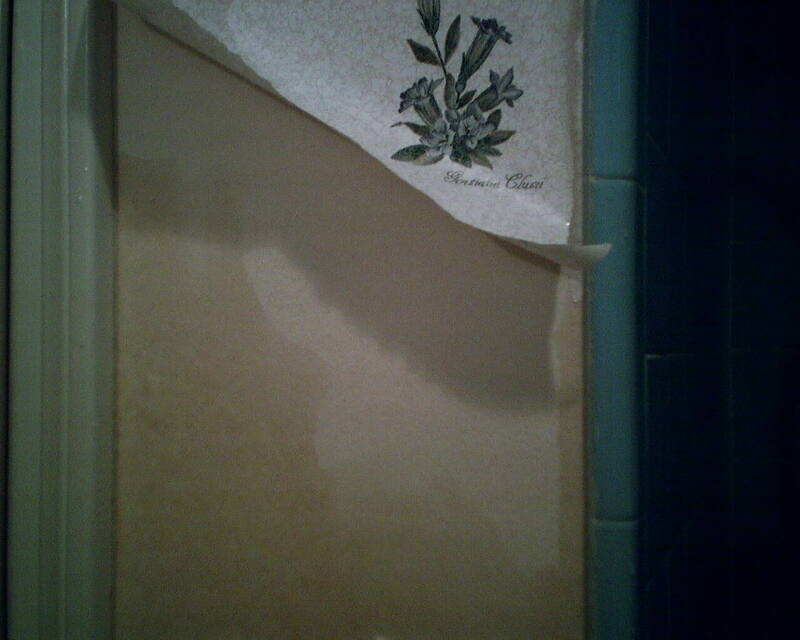 Don’t rent a steamer, and definitely don’t use one of those score tools – they really damage your Sheetrock. All I use is water. If the person who put the paper up used a primer, or if the wall was painted before, you will have much more luck. If the paper is on plain Sheetrock, you are in for more of a struggle. Wallpaper is made of at least two layers. You have to get the top layer, with the ink and plastic / vinyl coating off first, or water won’t penetrate to the back layer. Then you have to get to the back layer, which has the adhesive. The adhesive has to be reactivated with water, so it will release from the wall. So you have to strip that top layer off first. If it’s solid vinyl, it will come off fairly easily, in largish pieces. If it’s the thinner paper type, it will be a bit harder. I find that using a sponge and bucket of warm water first to wet the paper somehow strengthens the fibers, so it comes off in larger pieces. So wet the surface once, then use a 3″ stiff putty knife to GENTLY get under the top layer of paper to loosen it, then pull it away from the wall. Be careful to NOT gouge into the wall. You will also learn that it has a nap, somewhat like fabric, and works better if you strip in a certain direction. Remember you want to remove the top layer, not the backing, so strive for that. I use a 3″ stiff putty knife to get under the edges and lift them enough so I can get my hands on the strip and pull it off. Once the top layer is off, you use that same wet sponge to soak the backing, over and over again. Move to a new area, soak that, then go back to the first area and wet it again. Some people put a table spoon or so of Downey Fabric Softener in the water, claiming it attacks the enzymes in the paste, but I have not noticed any difference, and I hate the sudsy mess it makes. I stick with plain water. If you are lucky, it will all come off in one large piece. More likely, you will be pulling off small pieces. Be careful not to rip the top layer of the Sheetrock. 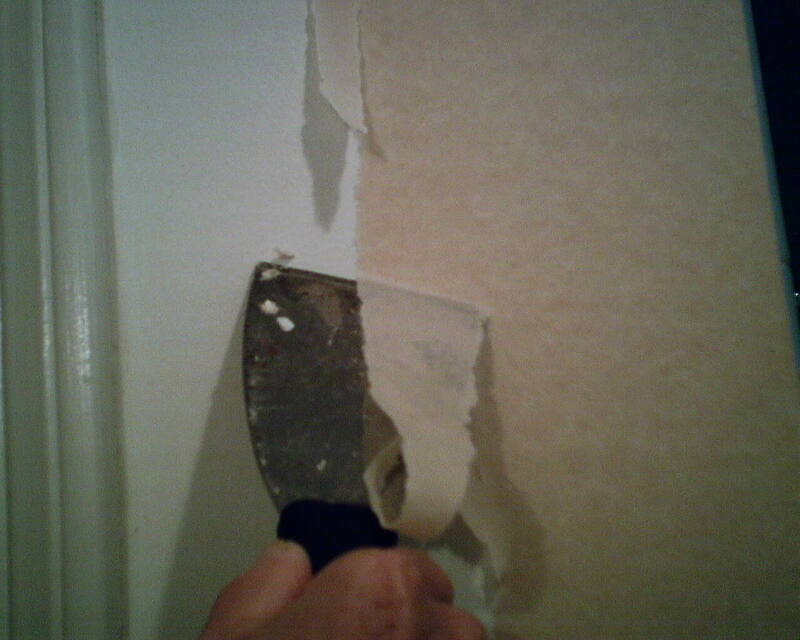 Sometimes you end up using the putty knife to scrape the paper off – again being careful not to damage the drywall. If there is a primer under the wallpaper, consider yourself lucky – it should come off fairly easily, with no or minimal damage to the drywall. If the previous installer did not bother to prime the walls, you will have a harder time, and you may end up with damage to the Sheetrock. Don’t worry, with time and patience, it will all come off in the end, and any drywall damage can be fixed. Note that some papers will come off the wall easily (or easy-ish) in one piece. The newish non-woven substrates are designed to pull off the wall with little effort or mess. Sometimes the backing delaminates, and if so, follow the steps above. Some heavier grade vinyls that are backed with a woven scrim fabric will come away from the wall with gentle tugging in a downward (not outward) direction. Once all the paper is off, the walls should be scrubbed clean with a sponge, or a sponge with a stiff scrubby side, rinsed frequently in clean water, to remove any paste residue. Any gouges in the wall or torn places in the Sheetrock will need to be sealed with Gardz (or a similar product), patched with joint compound and then sanded smooth. If you are going to follow up with paint, you should always prime first before painting, and I recommend OIL BASED KILZ Original (the original, in white can with red print, not the one with brown print, and not any water-based or low-fume product), to seal off the old paste, or it will cause your new paint to crackle and peel. BIN by Zinsser is also good, and your local paint store will have alternatives, too. 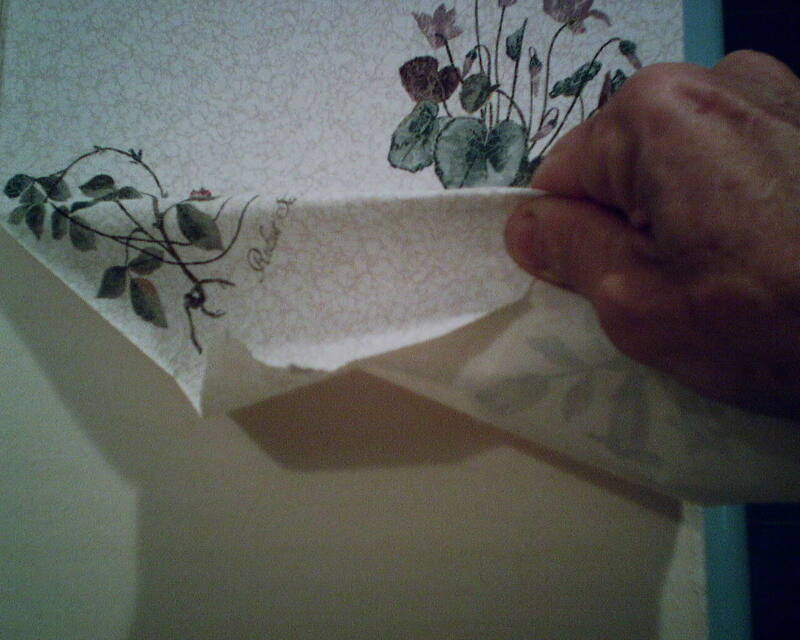 If you are going to repaper, there are wallpaper-specific primers that are available that should be used. Photo #1 Tearing off the top layer of paper. Note that this is a solid vinyl paper, which usually comes off in rather large sheets. Vinyl-coated or uncoated papers come off in smaller pieces. Photo #2 You can see the top layer of paper, and underneath that is the backing. The light tan indicates the backing in it’s normal state, and the darker tan is the backing after it’s been soaked with water. It usually takes several soaks over a period of time for the paste beneath to loosen up. Photo #3 Scraping the backing off the wall – carefully so as not to gouge the wall. Because this wallpaper has good oil-based primer underneath it, it is coming off quite easily, even without needing to be scraped off, and the primer is staying intact on the wall. A primer will help ease removal of old paper, but not all primers react the same; water-based primers, particularly latex, often lift from the surface when they get wet. Also, not all papers release so easily. Some come in smaller pieces, and some need to be scraped, some have a white backing that is difficult to see against the white primer.